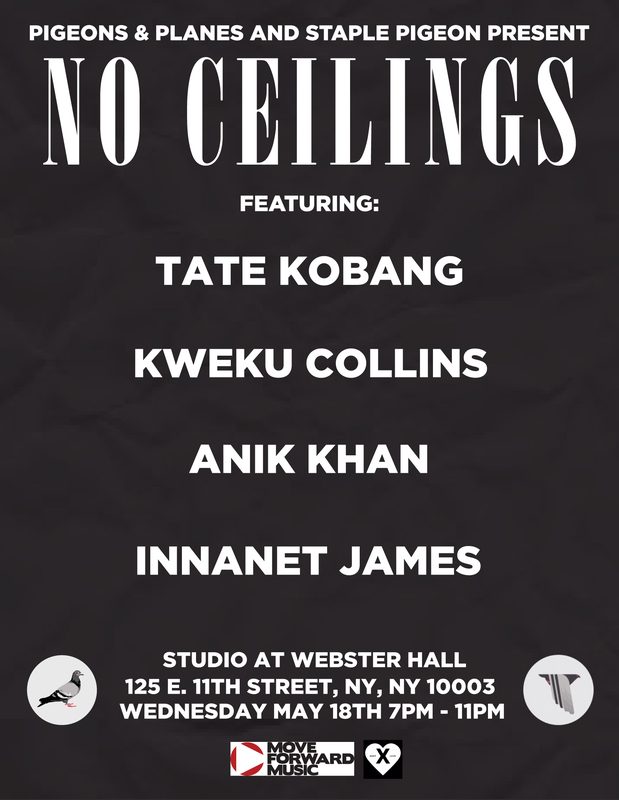 We’re back with another No Ceilings tomorrow night, April 18. 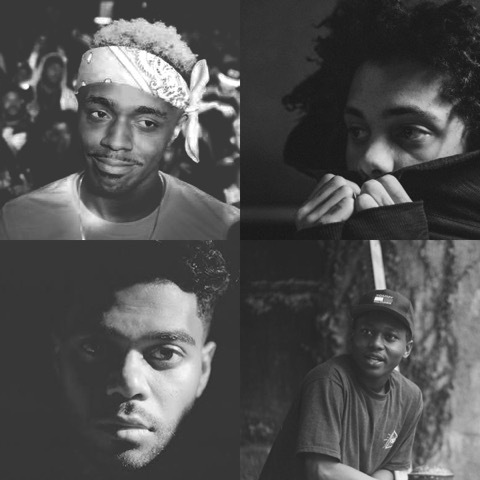 The show goes down at the Studio at Webster Hall from 7 p.m., and we’ve got four artists on the bill who are rising fast and ready to make their mark. Tickets are only $12 and all ages are welcome. Buy tickets here, RSVP here, and get to know the artists below. The King of Baltimore, as he calls himself on the first track of his latest project Since We’re Here, blew up off his “Bank Rolls (Remix),” but there is a lot more to him that one viral hit. On Since We’re Here, Kobang raps over a variety of beats, from bass-heavy party starters to sleek trap to more traditional boom bap. He can hit you with a catchy, melodic hook one second and get deep with the bars the next moment. Tate Kobang is on the rise, and with the label 300 behind him, he’s set to have a huge year. Get to know Tate Kobang’s story here and catch him before he blows up at No Ceilings. Kweku’s music is a mixed bag of genres—the Evanston native drew on everything from hip-hop and reggae to folk music for his Nat Love album, which was released last month. Evanston is just a short drive north of Chicago, and Collins is a proud outsider, bridging gaps with a blend of acoustic and electronic sounds, challenging stereotypes along the way. “Kendrick Lamar, Tame Impala, The Beatles, Jimi Hendrix—artists who can pull from different avenues of creativity are my favorites,” Kweku told us. “I always find that really special. The versatility is so captivating, it holds your attention because of the unpredictability.” Prepare for that same captivating energy from his performance at No Ceilings. Anik’s perspective makes him a unique and compelling voice, but his connection to hip-hop and desire to share his story provide the fuel to make music that is all at once thought-provoking, eclectic, and so enjoyable. Start paying attention now, because this is the very beginning for Maryland rapper Innanet James, but his latest track “Summer” is his biggest and best yet. It’s also a good sign that this high-energy newcomer is destined for great things. Innanet’s delivery is effortless, and he’s found a sweet spot in hip-hop that draws from different worlds and stands out in a sea of played out trap copycats. He’s got real skills and a timeless, soulful element, but his sound is undeniably modern—it’s the kind of music only a young person could make. We can’t wait to see what that looks like in a live setting.